Live, Love, Laugh and RENOVATE! 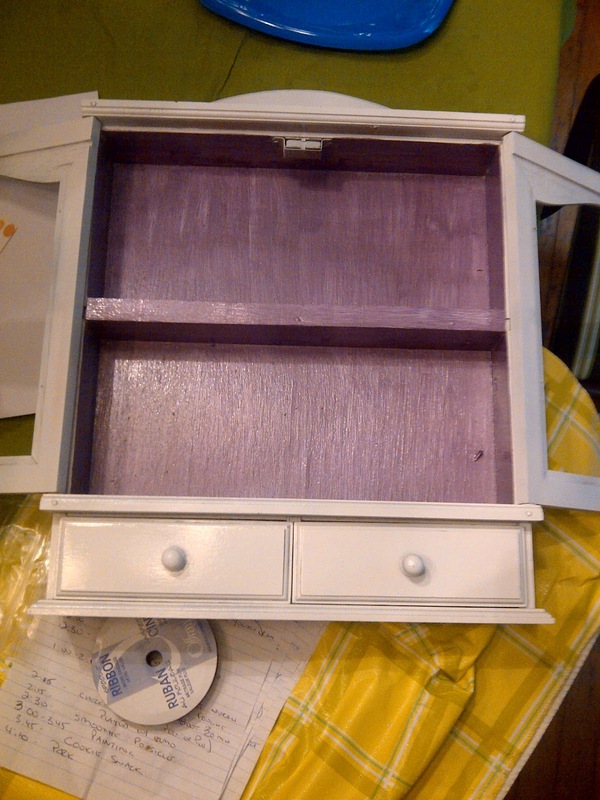 : Spice Rack Turned Jewelry Box! Spice Rack Turned Jewelry Box! Over the weekend I had a date with a few spray cans!!!! OH I love a good spray painting party... well I guess it isn't truly a party if its just me and a spray can... more like a date... a very intimate date! OK I must confess before I continue writing this... its been a VERY loooong week and I'm beyond exhausted AND I'm on vacation in T minus 5 hours!!!! SO with that said I may be slightly crazy today! Anyway back to my spray painting date. Over the long weekend I picked up this awesome spice rack at a garage sale for $1!!!! Yep that's correct a lovely $1!!! 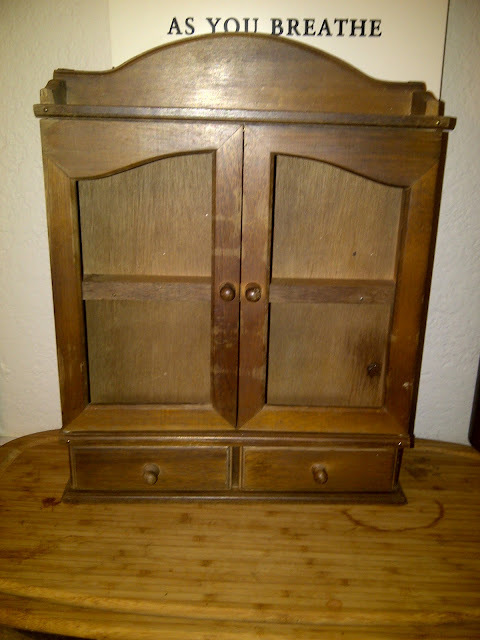 It has little drawers at the bottom and was just so cute! I instantly knew what to do with it!!! I've been making a tonne of jewelry frames lately yet I still don't have one myself. THIS beauty would make a PERFECT decorative holder for my jewelry! First I had to update it a bit. So the first step was to pull out a left over can of white spray paint and go to town!!! 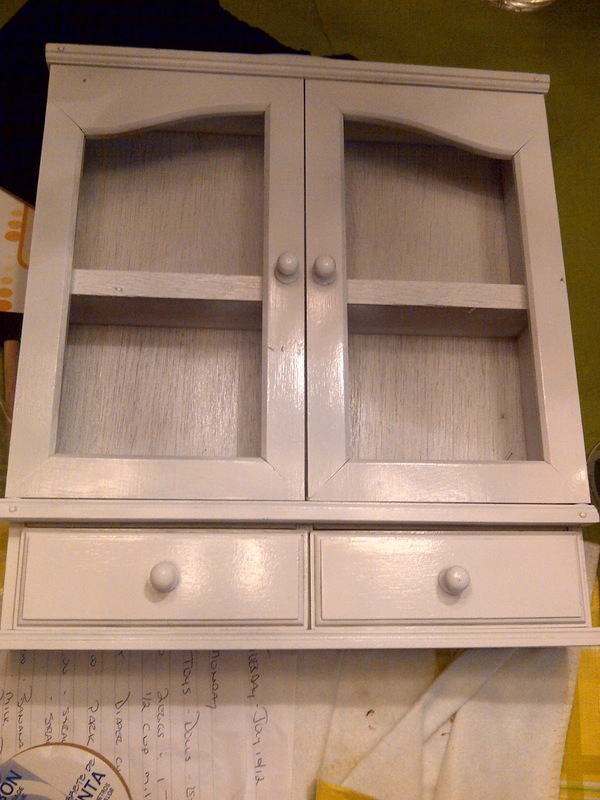 I only did one coat of paint because I liked bits of the brown coming through, it gave it some character. Since I knew this was going in our bedroom I decided to coordinate it with the art Ryan and I made (see here) so I pulled out my purple and silver paint and mixed them (same as before). And painted the inside of the cabinet a lovely silvery purple. 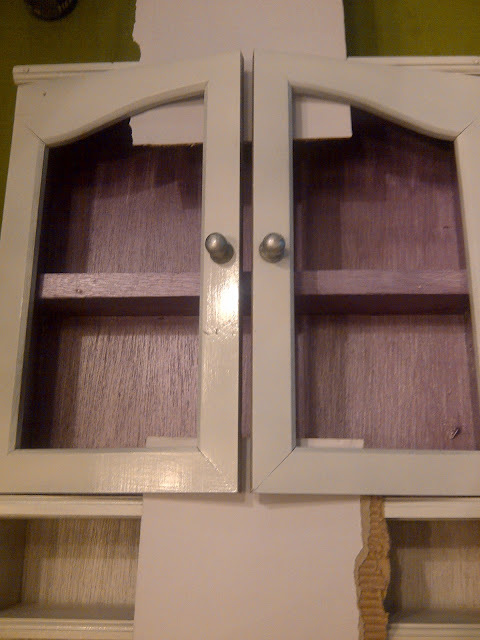 Next the knobs needed some 'help' so instead of replacing them Ryan suggested just painting them silver. I loved the idea and very carefully painted them silver! 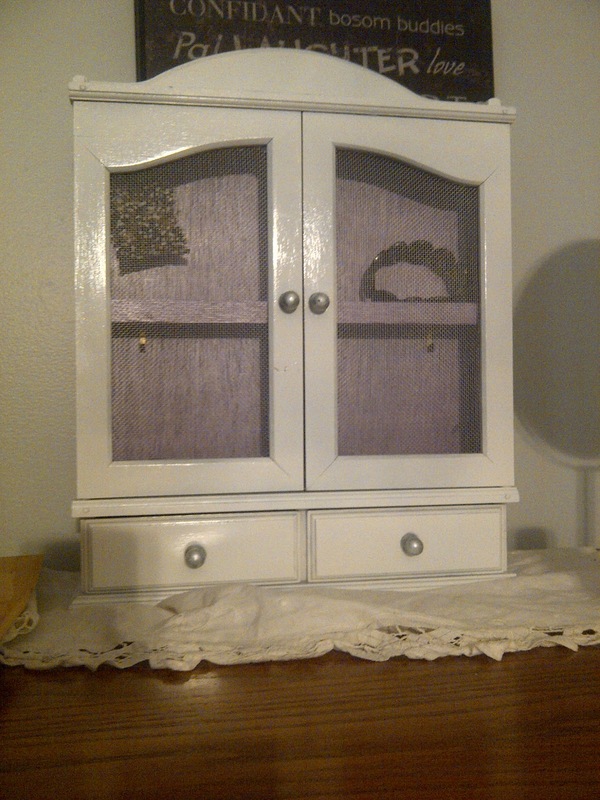 Finally I hot glued screen to the inside of the cabinet doors so I can hang my earrings from the front. I also installed small hooks inside so I can hang bracelets and necklaces inside. And here is my finished product! I still need to put my jewelry in it but for now its housing 2 bracelets. I couldn't be happier with the end result!!! AND all of this only cost me $1!!! I already had the paint and screen on hand. Stay tuned for some other awesome spray paint projects I have/will do this week as I'm off on vacation and have more time for projects!!! I'm VERY excited about one project in particular... I'm going to finally paint my dining room chairs and I have an amazing idea for my dining room table!!!! !